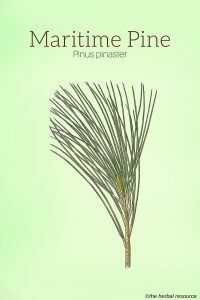 Botanical Name of Maritime Pine: Pinus pinaster, Pinus maritima. 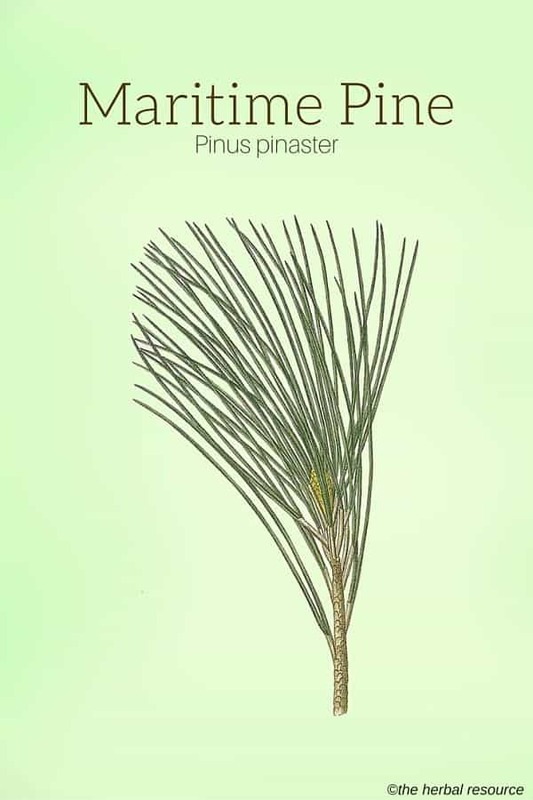 Other Common Names: Maritime pine, cluster pine, pinheiro bravo, pi maritim, pi pinastre, pino maritimo, pino resinero, pino rodeno. 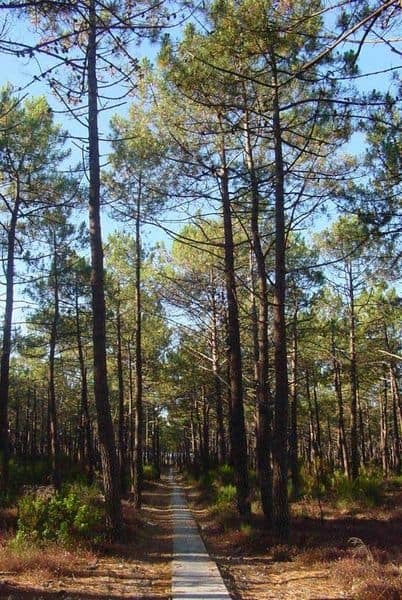 HabitatMaritime pine is found in the Mediterranean coastal areas of France, Gibraltar, Portugal, Spain, and Italy. In North Africa, it is found in Malta, Monaco, Morocco, Algeria, and the Atlas mountains of Northwest Africa, and has been introduced to those areas of South Africa with a Mediterranean climate. Plant Description: The maritime pine tree can grow up to a height of 30-40 meters, often with a graceful, winding trunk. The branches are up swept, generally forming an open crown. The bark is very thick, scaly or plated, fissured and patterned red-brown, black and buff. The shoots are a buff to yellow-brown and the buds are large and fringed with white hairs. The leaves are green to yellow-green. The cones ripen to a rich glossy chestnut-brown in April in the northern hemisphere two years after pollination. The seeds are shiny blackish brown above, mat gray below. Recent studies indicate that maritime pine bark may be an effective herbal treatment for symptoms of illnesses such as diabetes, arthritis and viral diseases. Pycnogenol® is the patented trademark name for any group of flavonoids extracted from the bark of French maritime pine trees. Maritime pine bark extract is available in more than 600 dietary supplements, multi-vitamins, and health products worldwide. Preliminary research indicates that maritime pine bark extract may help improve symptoms associated with chronic venous insufficiency (CVI), a syndrome that includes leg swelling, varicose veins, pain, itching, skin changes and skin ulcers. Preliminary studies provide good supporting evidence that maritime pine bark extract may be effective in treatment and prevention of retinopathy and retinal micro-hemorrhages, including slowing the progression of retinopathy in diabetics. 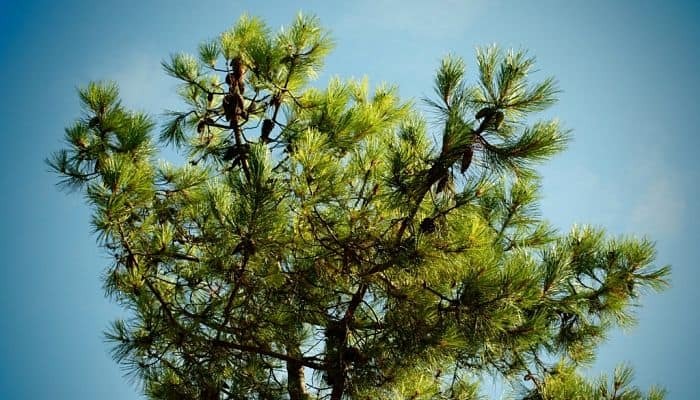 There is evidence that maritime pine bark may offer clinical benefit as a treatment for asthma. Maritime pine bark is used as an herbal remedy for allergies and inflammations such as allergic reactions and hay fever. Research indicates that maritime pine bark may be useful as an herbal treatment for heart disease by reducing cholesterol deposition. Some studies have shown that maritime pine bark extract could have positive results in the treatment of heart disease through the antioxidant effect of reducing the adhesiveness of platelets and reducing blood clotting. Maritime pine bark may be helpful in cancer prevention and treatment, as some research indicates that the antioxidant properties of maritime pine bark may help protect against carcinogens and free radical damage to DNA. Bioflavonoids present in maritime pine bark are believed to help maintain the health of brain cells and facilitate oxygen uptake to improve memory which might make it useful in treating Alzheimer’s disease (AD). It has been used as an herbal treatment of symptoms of menstrual cramps, fatigue, constipation and anxiety. Practitioners may recommend a dose ranging from 25 to 300 milligrams per day. A “saturation dose” may be 20 to 30 milligrams per 20 pounds of body weight. Others recommend taking 600 milligrams or more per day. 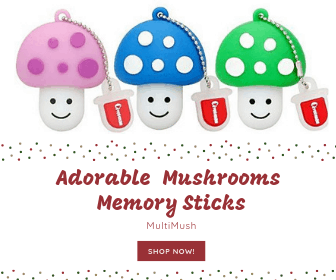 It is available as a tablet or capsule in a range of strengths. Toxicology studies show that there is no danger of toxicity from maritime pine bark when used in normal dosages. However, the bark extract is very concentrated and should never be taken above the recommended dose levels. Toxicology studies show that acute toxicity may occur in a 75 kg adult male at a dose level of approximately 336,000 mg or more than 250 times the recommended dose. Some people report mild problems such as a headache, nausea, and upset stomach. Pine bark extract is not recommended for pregnant or breastfeeding women, due to lack of scientific evidence for its safety. Maritime pine bark may lower blood sugar levels. Blood glucose levels may require monitoring, and doses may need adjustment. Patients taking drugs for diabetes should be monitored closely by a qualified healthcare provider. In theory, maritime pine bark may interact with medications, herbs, and supplements that affect blood pressure; caution is advised. Maritime pine bark may increase the risk of bleeding when taken with anti-inflammatory medications, herbs, and supplements, or any medications, herbs or supplements that are believed to increase the risk of bleeding. Multiple cases of bleeding have been reported with the use of ginkgo biloba, and fewer cases with garlic and saw palmetto. Maritime pine bark may interfere with immunosuppressant or immunostimulant herbs and supplements.